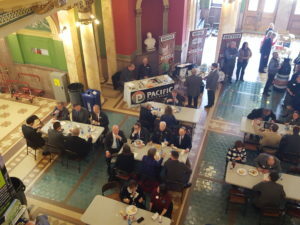 Recycle Montana hosted a recycling informational event held in the Rotunda at the Montana State Capitol in Helena on January 10, 2019. 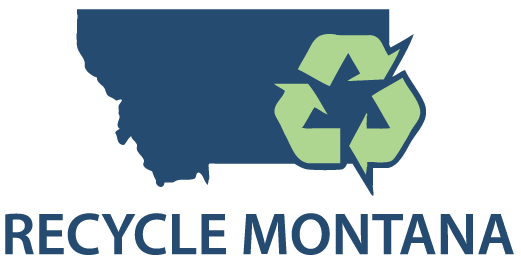 At the event, recycler businesses and organizations displayed information about their services, Recycle Montana presented their annual 2018 Recycler of the Year award and the Montana Beverage Association and American Beverage Foundation awarded Recycle Montana a $10,000 grant for the completion of 70+ recycling education trunks to be placed statewide. 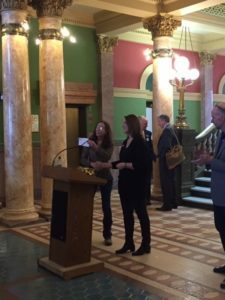 The Recycler of the Year award, the “Golden Bale,” a small, crushed and cubed composite of aluminum cans painted in gold was awarded to Yellowstone E-Waste Solutions of Billings. 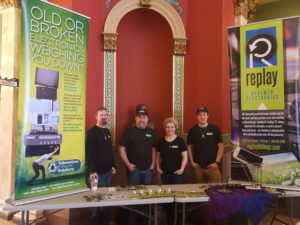 Brandon Fox started the business on Earth Day of 2006; the avid recycler wanted to do something with the excess computer parts he had lying around from fixing old machines. He and his wife, Kolbi, are still growing and expanding their territory in Montana and Wyoming, with ten employees, several different departments and a retail store. You can watch a video of the presentations here. Please contact us with schools, organizations, museums, churches, etc., interesting in receiving trunks to teach their youth about recycling.